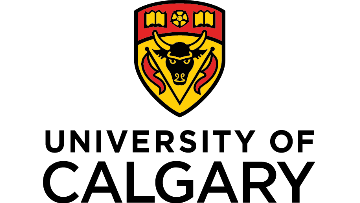 The Division of Physical Medicine and Rehabilitation at the University of Calgary and Alberta Health Services (Calgary Zone) is seeking an academic physiatrist for a position as Clinical Assistant Professor, with a special interest in research and clinical expertise pertaining to musculoskeletal (MSK) rehabilitation. The position is funded by the Alberta Academic Medicine and Health Services Program (AMHSP). The amount of time protected for MSK research will depend on the candidate’s record and research plan. The position will be based at Foothills Medical Centre and the successful applicant will provide clinical services, including participating in the call schedule for the inpatient rehabilitation unit. They will be expected to participate in teaching of medical students and residents. The successful candidate will be a member of the Division of Physical Medicine and Rehabilitation within the Department of Clinical Neurosciences. They will be a member of the University of Calgary Medical Group (UCMG) which provides billing services, transcription, and offers opportunities for other academic opportunities including sabbaticals and travel grants. Qualifications include an MD and specialist certification in Physical Medicine and Rehabilitation from the Royal College of Physicians and Surgeons of Canada. Advanced training in research is required, such as a Master’s or PhD degree or certification as a Clinical Investigator, as is a track record of scholarly activity evidenced by peer-reviewed publications. The candidate must be eligible for an unrestricted practice permit as a physiatrist in the province of Alberta and read, write and speak English. This position is not eligible for a Clinical Practice Assessment. In accordance with Canadian immigration requirements, priority will be given to Canadian citizens and permanent residents of Canada. Alberta Health Services and the University of Calgary are committed to employment equity. This position will remain open until February 28, 2019. For more information, please contact Dr. Christine McGovern at christine.mcgovern@ahs.ca. Please submit a letter of application, a 1-2 page summary of research plan/vision, and your curriculum vitae to Dr. Rajiv Midha and arrange for 3 letters of reference to be submitted directly to Dr. Midha, Chair, Department of Clinical Neurosciences at rajiv.midha@ahs.ca.